Here is a link to a really good guild test. Before you post cards take the test. Please do not pick answers based on a certain guild, but on your true opinion. After you have taken the test you may post up to three cards for that guild. No old cards. The guilds are warring, your cards are their only hope to overcome their rivals. At the end one guild will come out on top. Guilds will be judged on diversity of card type and rarity. Balance and proper wording are very important. You may edit any card you post until I close it for judging. I would prefer if you use non-mtg art, but it is fine if you do. The deadline is in three weeks. The prize for the winning guild will be that I will favorite every card posted for the competition for that guild. 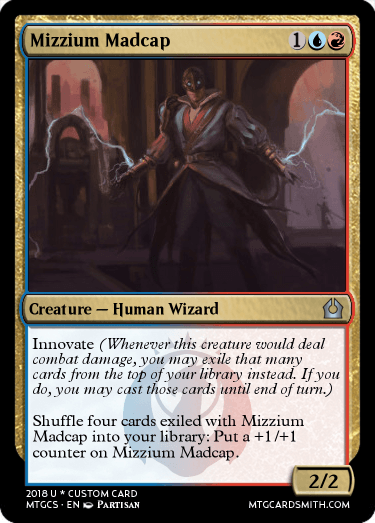 I think we all have to agree the Izzet are by far the best guild ever. I got Golgari, which was really surprising considering my answers and how it describes them. C'mon, why isn't anyone surprised? Apparently I'm... Dimir? Really? Hm. Weird. I thought for sure I was going to end up as either Simic or Izzet. I guess I'm doomed to play U/B control for life now. Great. 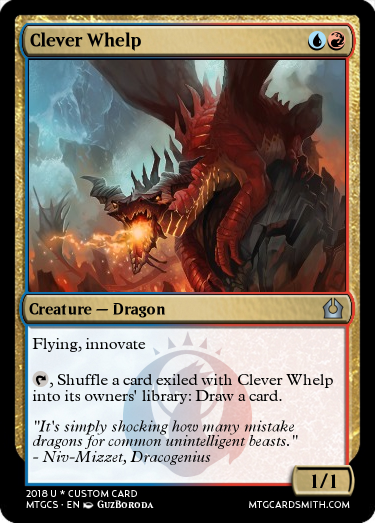 First entry, featuring my new mechanic Innovate! I realize that it's not super outstanding or original, but I believe that it's a good start. Since we've ended up on the same team, may I use Innovate? @Faiths_Guide, surely, for it 'tis for the common cause of discovery! 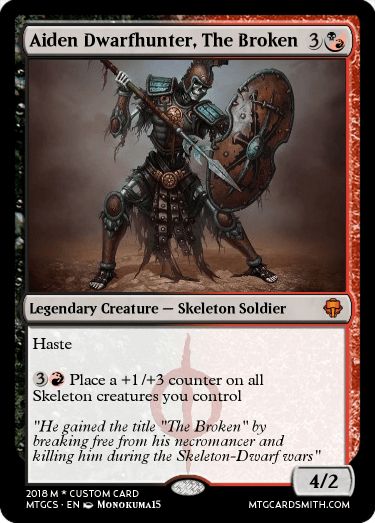 Boros is RW though... Did you mean Rakdos? @Monokuma15, and Boros isn't aggressive enough?